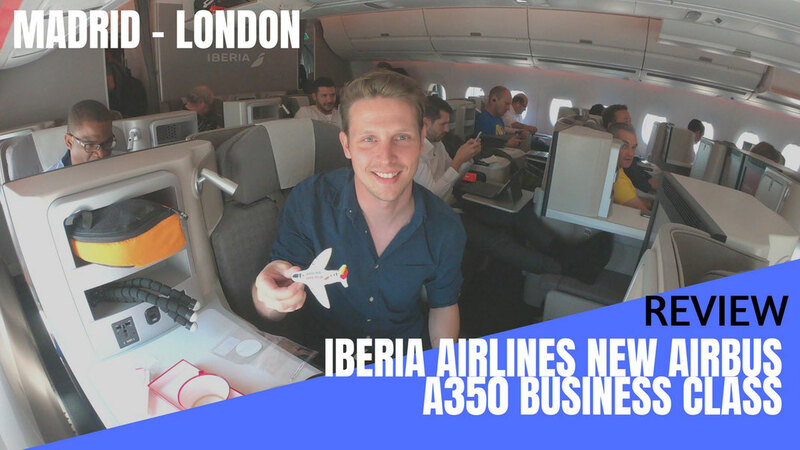 On July 20th Iberia Airlines brand new Airbus A350-900 was taking off for the very first time on it's inaugural flight from Madrid to London Heathrow. 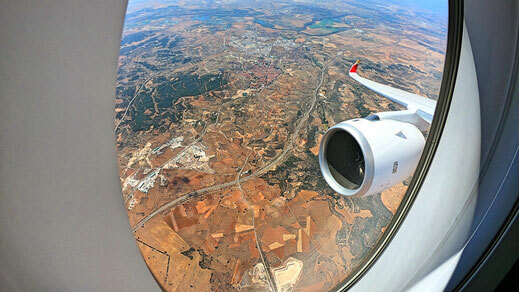 I scored a cheap Business Class fare for just $200 one-way and was able to be part of Iberia's very first A350 flight to introduce their new product to you... read on for a comprehensive review. 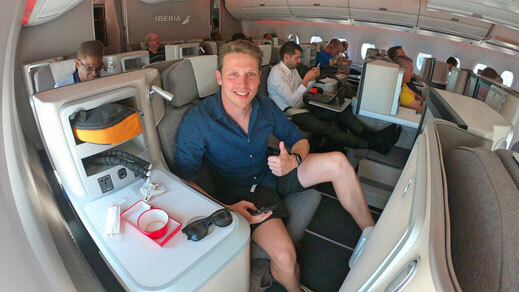 If you don't want to read the review (I know, too many words) you can just lean back and enjoy my video report which gives you a detailed inside of what it's like to travel on Iberia Airlines Business Class and experience their lounge. 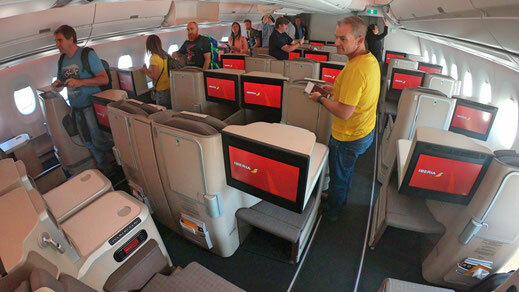 Iberia's new A350 reminded me a lot of most of the A350 I have flown in the recent weeks. The seat is almost authentic to Hong Kong Airlines or also Air Mauritius Airbus. However, I like the particular seat. It goes fully flat and offers a lot of privacy. 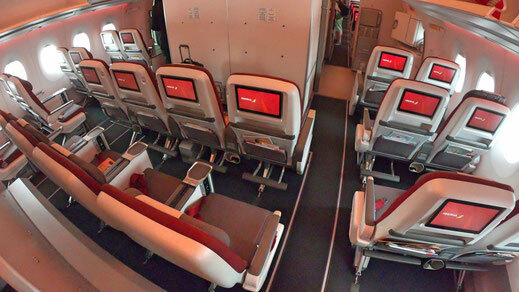 All 31 seats offer a personal entertainment screen, a power point and 2 USB-slots. On this flight no noise-cancelling headphones were offered but I'm sure they will do as soon as they put this bird on flights to New York City (JFK). The seat offers heaps of storage room though which I really like. The setup is a bit better than the one of Hong Kong Airlines A350. 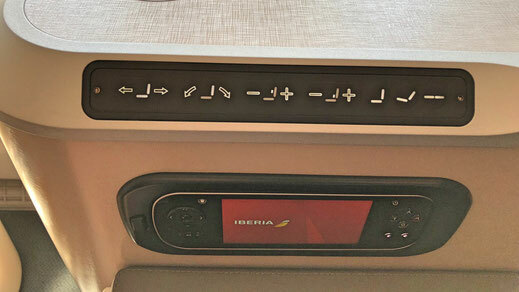 I tried to find a Seat Map of Iberia's A350 but there is nothing online yet. 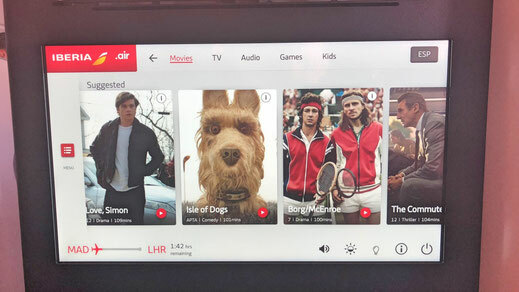 Iberia's A350 offers Free WiFi however on the inaugural flight the internet wasn't enabled since they still looking for a provider. This should be fixed soon though, therefore I'm not sure whether it will be free of charge for some time or whether you need to purchase. Also the onboard entertainment wasn't a 100% working either. It worked for 10 minutes before shutting off. However I could tell that the choice of movies has increased from the short time I had to discover. 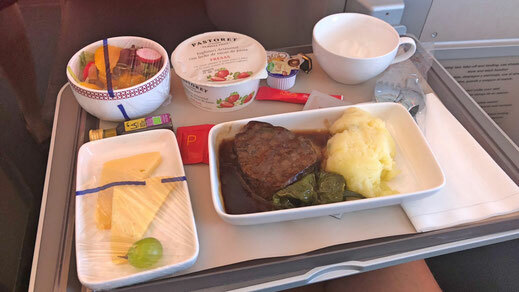 Considering the flight time of just 2 hours Iberia would offer a full meal and I was able to choose between pasta or a beef steak which was extremely well done. 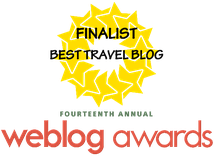 It was almost like a chewing gum. But I was quite hungry so I ate it anyways. The crew was also offering coffee and alcoholic beverages to go with it. The service was very personal but also extremely slow. Typical Southern European work attitude haha... I even heard that they stopped servicing in Economy Class half way through it because the plane started to descend into London. 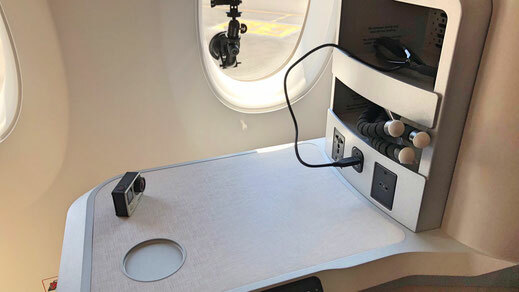 I bet though that this won't happen on an intercontinental flight... Maybe read Lucky's A340 Review from New York to Madrid to get a better picture. Premium Economy is a concept I don't understand. I don't like it and I would never book it. 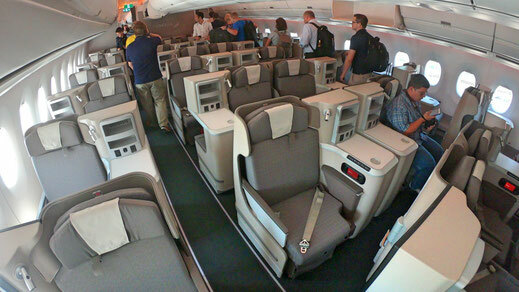 However some people do and that's why Iberia offers 24 Premium Economy Seats on their Airbus A350. A bit more leg room and upgraded service is what you get. 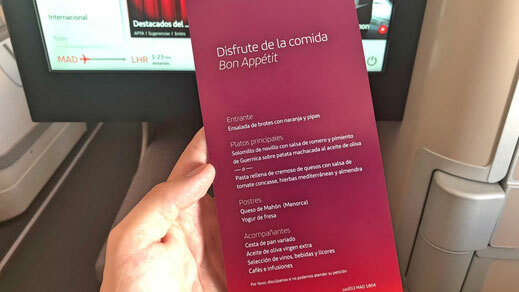 On this specific flight from Madrid to London they sold the Premium Economy Cabin as Economy Class. 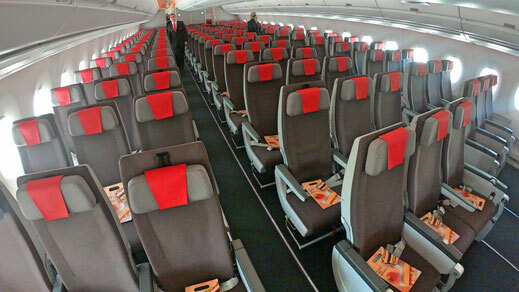 Iberia's A350 offers 293 seats in a 3-3-3 configuration. 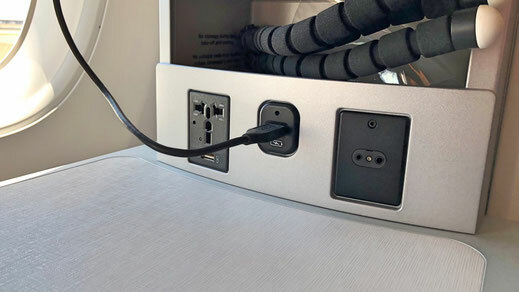 Each seat comes with a personal entertainment screen, USB-slot and a power outlet. As a Economy passenger you'll also have access to the Free WiFi which is offered. However, on my flight the internet wasn't working so I'm not sure about the speed. 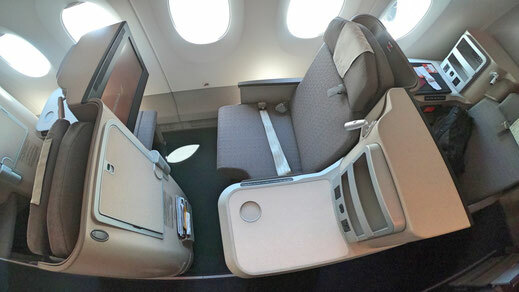 It looked very similar to China Southern's new Economy Class on their Airbus A330. 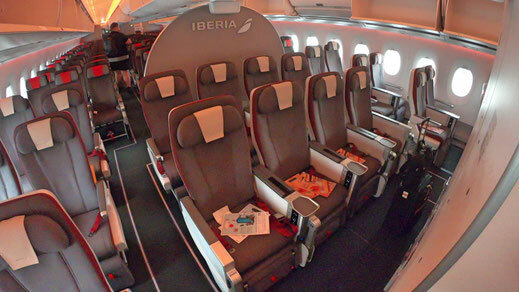 The new Airbus A350 of Iberia is wonderful, nicely structured and overall a great product. The seat offers everything you need. Unfortunately the WiFi was still not working and also the same applied to the entertainment system. I hope Iberia can improve those little hick ups in the near future. The crew was lovely and very passionate but also a bit lazy, so don't expect a quick service. I think I would definitely enjoy this airplane on an international flight.